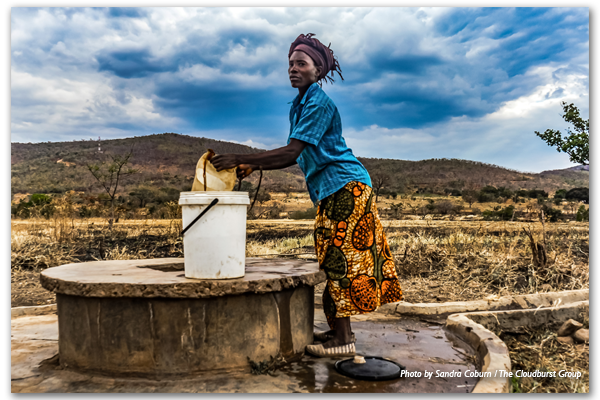 Much of the world’s rural landscapes are technically managed by national governments with limited recognition of, or support for, the rights and management responsibilities of the rural poor who live in these areas. In an era of large-scale land acquisitions for global commodity production, this has led, in some cases, to governments allocating vast tracts of land and resources to companies with limited or no consultation of the people affected. These cases pose risks to all stakeholders, including: potential eviction or loss of livelihoods to the communities; reputational risk and operational challenges to companies (including responsible businesses); and the undermining of public confidence in government. Participatory documentation of land and resource rights, using state of the art technology and robust, inclusive processes, is creating an enabling environment to address existing land and resource conflicts, avoid future disputes and create improved land use plans for the future. Since 2014, USAID’s Tenure and Global Climate Change (TGCC) program has piloted bottom-up participatory approaches to document and, in some cases, achieve government recognition of community land rights in five countries. 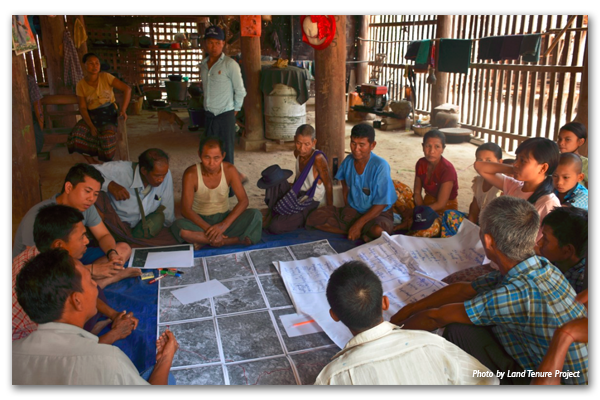 Working in the diverse locations of Paraguay, Ghana, Zambia, Vietnam and Burma, USAID identified and tested a range of approaches to document land rights to inform conflict resolution and improve planning. USAID found that, when it comes to addressing land rights challenges, sometimes the best information can’t be collected from satellites, or often even from government offices in capital cities. The information has to come from the ground-up, often through participatory dialogues with the land users themselves. Effective approaches ranged from documenting parcel-level rights for individual farms to clarifying boundaries between communities or documenting broader indigenous group claims. For example, in Zambia, TGCC carried out household-level land certification of customary land rights, documenting the rights of over 50,000 individuals across more than 15,000 parcels of land. In Burma, by comparison, the allocation of vacant, fallow and virgin land to domestic and foreign investors has been so dramatic in recent years that TGCC found that rapid documentation of village tract boundaries and community land uses was effective in providing a degree of security to both land holders and investors. In Paraguay, TGCC worked through a Federation of Indigenous Peoples groups to consolidate and digitize over six hundred existing land claims into an open platform that commodity financers can use to asses deforestation and land conflicts risks in their investment decisions. In many cases, rights documentation may not seek to identify one owner, but rather identify many overlapping users of a landscape to help improve management. For example, in Vietnam, TGCC used participatory coastal resource assessments to map overlapping resource rights of different stakeholders including line, net and boat fishermen, as well as aquaculture farmers and shell gleaners within the same coastal mangrove forests. The results ultimately improved mangrove co-management regimes through the development of coastal spatial plans. In other cases, rights documentation sought to clarify tenant rights to make improvements on the land. In Ghana, TGCC recognized that a huge portion of cocoa farmers (in some cases, over 70 percent) were effectively prohibited from participating in industry-funded cocoa intensification / rehabilitation efforts by their existing long-term tenancy arrangements. In response, USAID provided support to document tenant-landlord agreements in a way that promotes farm rehabilitation and reduced deforestation through partnerships with global chocolate and commodity companies: The Hershey Company and ECOM Agroindustrial. With an increasing recognition of the value of bottom-up land documentation, there has been a wave of technology-based solutions that allow communities to map their own rights. This democratization of technology has allowed communities to move from paper-based participatory mapping to smartphones that can collect boundary points or even draw parcel boundaries directly on a screen over satellite imagery. Tools and platforms, such as the Social Tenure Domain Model, Open Tenure, Cadasta and USAID’s Mobile Applications to Secure Tenure (MAST), are offering low cost solutions to collect and in some cases administer land tenure information. TGCC deployed these tools and platforms, relying on a range of MAST solutions to push forward inclusive land documentation processes. While mobile solutions undoubtedly reduced costs and increased data quality, they did not replace the most time consuming (and thus costly) elements of land tenure documentation: deep community engagement, trust building, participation and validation of results. In the end, these pieces were the centerpiece of developing transparent and legitimate products. This mix of attention to social processes and standardized tools increased quality and consistency of data collected, and have allowed for the products to be used by the communities themselves, private sector investors, other donors and government.